One of the common responses to Unitarian Universalism that I found among my military chaplain colleagues is the belief that we UU’s have no morality… when in reality I have found that few people carry a heavier moral burden than the Unitarian Universalist. Even among UU’s I have heard it said that we have “Ethics, not morality”. I want to say at the outset of my exploring the idea of the moral burden that we UU’s carry that I know this is a topic upon which many UU’s may disagree… this is my contribution to what is (and should be) a continuing debate among our dynamic, changing faith. I believe that few faiths, if any, call upon its adherents to carry a heavier moral burden than Unitarian Universalism does. First, let me define what I mean by “moral burden”, as it is a pretty meaning-laden term. It is distinctly different from the term “morality” which to me implies a system, a code of morals… and I do not think that is what I am talking about. What I am getting at with the term “moral burden” is more a sense, a deep rooted and sacred feeling of responsibility. The story of Jesus’ crucifixion, when Simon of Cyrene was required to carry Jesus’ cross, gets at the feeling of what I mean by a “moral burden” (MK 15:21). It is a weight of responsibility that you carry because you feel you have no other choice. Simon of Cyrene carried his burden because Roman soldiers gave him no choice, but we Unitarian Universalists carry our moral burden because the values and the principles that we hold require it. As one fairly new UU church member once told me, life was easier before she became a Unitarian Universalist. There were so many things going on in the world that, because she did not know about them , she did not have to care about them. Now that “her eyes had been opened” (her words, not mine) she felt a crushing weight of responsibility, because she could not but care about those things, and feel that she should be doing something about each of them. Unlike Simon, however, we do not have to carry our moral burden alone… we Unitarian Universalists have one another. I believe there is a somewhat unique blend of theology, of history, of values, and of principles that calls Unitarian Universalists to carry this moral burden in a unique way… and that combination is one of the reasons I am a UU. I want to touch on a few of those unique threads that twist together to make the cord that attaches us to our moral burden. They are: human agency, responsibility for good and evil, a theology of transformation, and our understanding of the individual and the community. These are just four of many threads, but for me they are the most profound. Perhaps you might identify some other threads in the cord of responsibility to our UU moral burden. One of the most common theological themes I have found in my fellow Unitarian Universalists regards the belief that it is humanity that retains moral agency in the world, not God. Even for the theists among us, we often have a belief that either limits or negates whether God can act in the world. We do not attribute the moving and miracles of our daily life to the actions of God, but instead seek the sources of daily events in our own actions and in the actions of the people around us… or in the natural processes of this earth we inhabit. When an earthquake causes devastation and suffering, as it did recently in Haiti, we Unitarian Universalists do not seek to blame God for it; we do not see it as divine punishment for any perceived wrongs. We understand it as an unfortunate result of the natural processes of this world, and also (in the case of Haiti) we remember the issues of justice and poverty that made construction in Haiti so shoddy. We then feel a burden to assist in the aftermath, and to find ways to address the justice and poverty issues that let the situation arise in the first place. Unitarian Universalists feel the burden for assisting as we can in the relief and recovery efforts because we know that, at least outside the human spirit, human assistance is all that can be expected. The Divine may provide us inspiration and strength, but it will be human hands that clear the rubble, that set up tents, that serve food. This is the first strand of the moral burden of the Unitarian Universalist… the belief that if a difference is to be made, the effort for that difference must come from human hands. Those hands may not always be ours… it may be that some of our treasure can go to fund other hands. All too often though, it is our hands that our moral burden calls us to use to make a difference in our world. Those hands may be serving food, or they may be holding up a protest banner at injustice. Haiti is an example of when both the immediate need and the systemic need for our hands and our work are so very clear. The weight of both of those cannot be alleviated or lessened by a belief that a Divine force will take part of the burden. For those UU’s who feel the kind of divine connection with what I call God, what we gain at most from that connection is some of the strength necessary to carry the burden, not a lighter burden. We UU’s carry a heavier moral burden than some of our friends of other faith traditions because we do not believe that God will carry it for us. The second strand of the cord that binds the Unitarian Universalist to our moral burden for the world is similar to the first, but different in its focus. One of the most difficult theological questions that Unitarian Universalists have struggled with over the last twenty decades has been on the questions of the primacy of good and the existence of evil. There have been many different positions taken in this debate, and I will not claim that it has been decided. For the purposes of this article, I am going to argue from the point of view of my position in this debate: that good and evil do not exist as metaphysical realities, but rather are aspects of human valuation. In other words, good and evil come into existence by what we humans judge to be either good or evil. The result of this theology of good and evil is that responsibility for what is good and what is evil in this world rests not on some metaphysical beings, but squarely upon the shoulders of humanity. The realization that we cannot blame the evil in this world upon some metaphysical “Satan” means that we humans bear responsibility for anything we value as evil. The same is true for God and what we value as good. When we judge something, from our values, principles, and beliefs to be good, we then take upon ourselves the moral burden of sustaining, supporting, and expanding that which we have named good. When we judge something, from our values, principles, and beliefs to be evil, we then take upon ourselves the moral burden of alleviating, ending, or opposing that which we have named evil. When something we have named evil occurs in the world (be it of human origin or not) we do not have the luxury of excusing ourselves of responsibility for it by claiming that an evil force, such as the Devil, did it. Each judgment of something as being either good or evil places a sacred responsibility for that something upon the moral burden of the Unitarian Universalist. Individually and together, we UU’s bear the moral burden of supporting the good and alleviating or ending the evil we see in the world. This quote is almost a creed of the theology of faith of the Unitarian Universalist, and I believe it may be the most common theological thread among us. I have spoken with many who explored our faith and chose not to commit to it, and often the reason was because we were always preaching, teaching and calling for action about things they felt they could never change. Amid an ever increasing understanding of the problems and dangers of this world, amid social and political injustice, amid the reality of inequality, and prejudice, what I find in Unitarian Universalists is a hopefulness that Margaret Mead captured. It is the thread of this hopefulness, which I can only describe as a beautiful kind of faith, that is what I believe keeps many UU’s from laying down the sacred responsibility of their moral burden and moving to an apathetic stance in the world. This faithful hopefulness is not only what helps us to carry our moral burden, but also binds us to it… and perhaps binds us together more than anything else. The last cord of this moral burden that I will try and articulate in this article is found in a different understanding of what I term the “flow of morality”. For this, I will need to refer to the faith of my childhood, growing up as a Southern Baptist. The system of morality that I learned in my childhood church was one that centered on the individual. It was a morality that consisted of few general concepts, and many specific edicts. The individual was called upon to not smoke, not drink, to honor father and mother, to obey those in authority. It taught that I (personally) was a sinful being who only found forgiveness in the grace of God, represented by Jesus dying on the cross. I should give ten percent of everything I owned to the church, and I should follow all the commandments of the bible (or at least the ones I was told about). My entire morality centered on the “I”… on the individual. What broadening there was of this moral code to the community, to the nation, and to the world proceeded from this individual center. Communal morality then became the importation or imposition of this individual morality upon others, as individuals, in larger and larger contexts. The church then would only be moral if all the members of the church adopted and practiced the same individual morality. The nation and the world would only be moral when the individuals… all the individuals… adopted or had imposed upon them the same individual morality. Now, there are many Christians who have moved from that individual morality to develop derivative cultural and national systems of morality that are not so individually focused… but in my perception those systems still proceed from this individual moral basis as their starting point and ideal, and are formed and shaped by that individual moral basis. 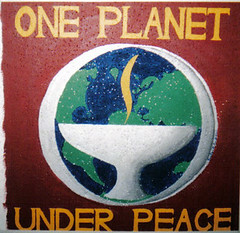 Unitarian Universalists proceed the other way with regards to global, national, communal, and individual morality. I believe we as a faith begin with an image and vision of global morality. We call it by different names: right relationship, beloved community, the “realm of God”. It is a vision not of how individuals should live their lives, but what a “world made whole” would look like. It is from and in support of this vision of a world made whole that we then derive our moral systems at each of the other levels. All communal moralities are derived from this vision of a world made whole in how they support and promote that vision. Individual morality for Unitarian Universalists is not then the center from which all flows, but rather the ultimate derivation of what I as an individual can and must do to support, promote and some day achieve the vision of Beloved Community on a global scale. It is no wonder that many who form their moral systems from an individual basis cannot see the morality of the Unitarian Universalist… they are looking in the wrong places. Our morality is formed not around individual commandments, but around a vision of, in the language I use, “the Realm of God”. Our Humanist discussion group’s recent conversation on morality led us into some interesting places regarding the origins of moral behavior. Most likely all morals are cultural adaptations of specific emotional reactions hard-wired into our genes. That makes things to simplistic, but i want to get to the next point. Joshua Greene is an experimental philosopher, he tests his philosophical propositions. In the course of his work (fMRIs) he found two separate places in the brain activated when the subject was faced with a moral dilemma. The first activated, he termed, moral intuition. The second to be activated, he termed, moral reasoning. When you say “moral burden” it implies a reasoning process and as far as i am concerned a UU must bear sole responisbility for discernment of what constitues reason for that burden. The orthodox theist has an expressed divine code and, in most cases, an official to instruct and urge adherence to that code.We will not agree in the elements that make up the burden, nor in how we are to react, or to bear, the burden, but i firmly believe that UUs do recognize their responsibility. This spills over into citizenship and our place as individuals in the metanarratives of history.